It is that time of the year again and we can't wait for another opportunity to celebrate the successes of this year's participants, catch up with our old friends, and make new connections! As always we look forward to seeing this year's interns, program alumni, and program mentors, both past and present. The event is located only a few short blocks from the AGU meeting so we hope you will consider fitting this exciting event into your AGU calendar. 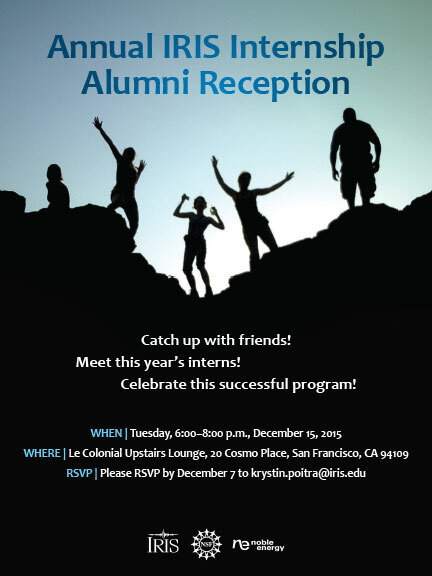 Please RSVP to Krystin Poitra <Krystin.Poitra@iris.edu> by December 7th, 2015.